Expressing love to someone special in your life by gifting something made with love could not be more thoughtful. 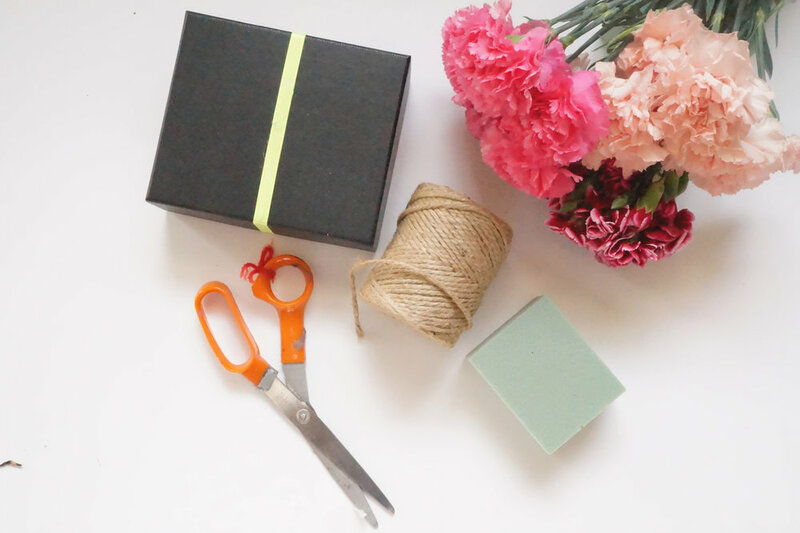 This DIY Floral Box is an easy, gorgeous and simple of gift of love. The love and the care are both shown in packaging and the attention to detail. 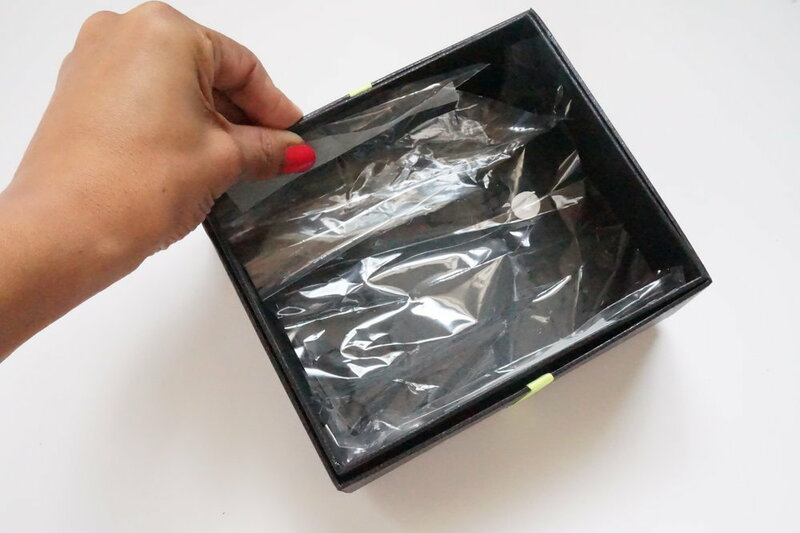 Take your plastic from the floral wrap, really not a need to buy extra wrap and cut it to fit inside the box. Cut your oasis to fit into the box. I picked these floral oasis /sponges from the Dollar Tree by the way. Then add water so the oasis it's soaked. Trim your flowers down until they have about 1 inch stems. Push the flower stems into the oasis. Make sure to push them down so the top of the flowers are below the lip of the box so you can put the top on. I chose a variety of colors so I could play around with the arrangement. Fill in your floral box and add in a little of the green stems and buds. 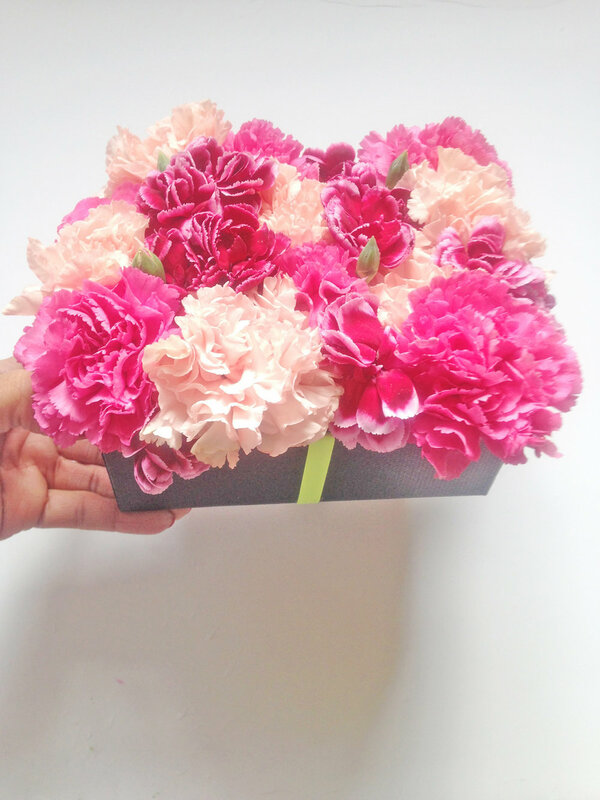 Have you made a floral box before? Who would you gift this beautiful package to? I’d love to hear.